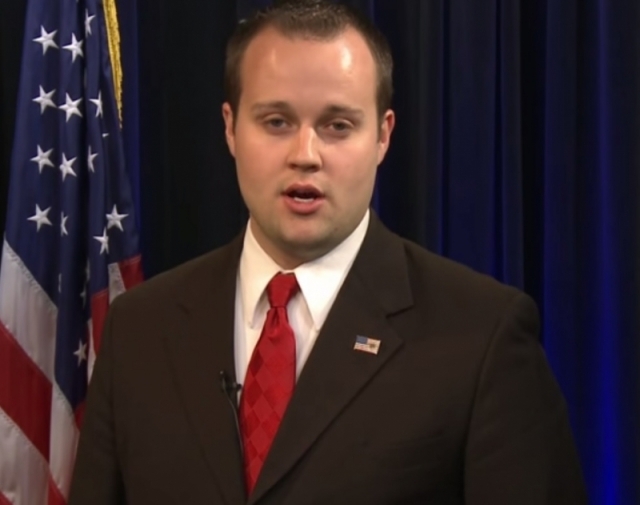 The recent Josh Duggar sexual scandal is another sobering reminder that Christians are not immune to exhibiting exceptional hypocrisy. It might be relatively easy to look good on the outside, but what’s going on deep inside the heart matters infinitely more. In college, I appeared to be a basically good and moral person on the outside. I didn’t drink, sleep around, smoke, take drugs, cuss (much), or get into fistfights. And I didn’t date anyone who did either—mostly because I didn’t date! But as I began walking more closely with Christ during my junior year, I quickly noticed that being truly holy—as God is holy—goes so far beyond our common concepts of merely being “good,” the two are almost of a different order. I saw more clearly than ever just how far away from true godliness my life really was. Prior to this spiritual reawakening, most of my moral standards were in place by sheer force of habit. I simply wasn’t very tempted to do most of the things I mentioned. But deep underneath, much more insidious traits were lurking that I didn’t want to face or acknowledge. As God opened up these deeper chambers, I was appalled and ashamed by what I saw—self-congratulatory pride, egotistical indifference, malicious cruelty, covetous cupidity, timorous timidity, insidious impurity, and so much more. It forced me to ask some very hard questions: What kind of person am I really? How truly Christ-like is my character? Is my heart tender and humble toward God or am I just pretending to be godly? How deep is my love for Jesus? How passionate is my heart for His holiness? Am I serving Him out of gratitude or just going through the motions? As I looked more closely at Jesus, I began to come to grips with the intensity of His intimacy with God, the superlative purity of His inner character, the great genuineness of His compassion, the sweet winsomeness of His witness, the cavernous confidence of His faith. These characteristics were all deeply embedded in His inner being, grounded in a set of enduring virtues he actually possessed. To me, these qualities seemed to be nearly unattainable, things I could only dream about. They were light years away from in my inner life. I suddenly dawned on me that it would take a lifetime of walking closely with God on a daily, moment-by-moment basis to even begin approaching such a depth of godly character. This realization set me on a quest to become godly from the inside out, but it’s been a long and difficult journey with many personal failures and setbacks along the way. While God sometimes brings rapid life transformation, for the most part, genuine holiness is not formed or proven overnight. Josh Duggar has a long and demanding road ahead if he ever hopes to be like Jesus, but the same is also true for us. Godly character is only forged over the course of months, years, and decades of hard-fought faithfulness. We must continually choose to do the arduous moral work required to become genuinely wise and righteous. And we must daily live in deep and humble dependence upon the Holy Spirit of God. Praise Jesus, at the end of the day there is always hope. Trajectory matters most. Little by little—sometimes three steps forward, two steps back—as we recognize our sin, humbly confessing and forsaking it, over time, Christ cleanses the filth, repairs the damage, transforms the hideous into the beautiful, and converts the base into the sacred. We need only submit to the process, endure the difficulty and hardship with Spirit-dependent perseverance and persistence, and continue on the journey with other struggling saints, so that one day God might finally declare that Christ is truly formed in us—and even perhaps in people like Josh Duggar too. This entry was posted in Contemporary Culture and tagged Character, Godliness, Josh Duggar on September 14, 2015 by lewinkler.